As much as my ego doesn’t like to admit it, often times my student’s explanations of math concepts and processes is WAY more effective than mine. In the past I would actually make myself a little crazy as I tried to think up 15 different ways to say the same thing to teach a tough concept. Then, one tiny little 8 year old would trot up to the board, say it perfectly, and the light bulbs would go on. 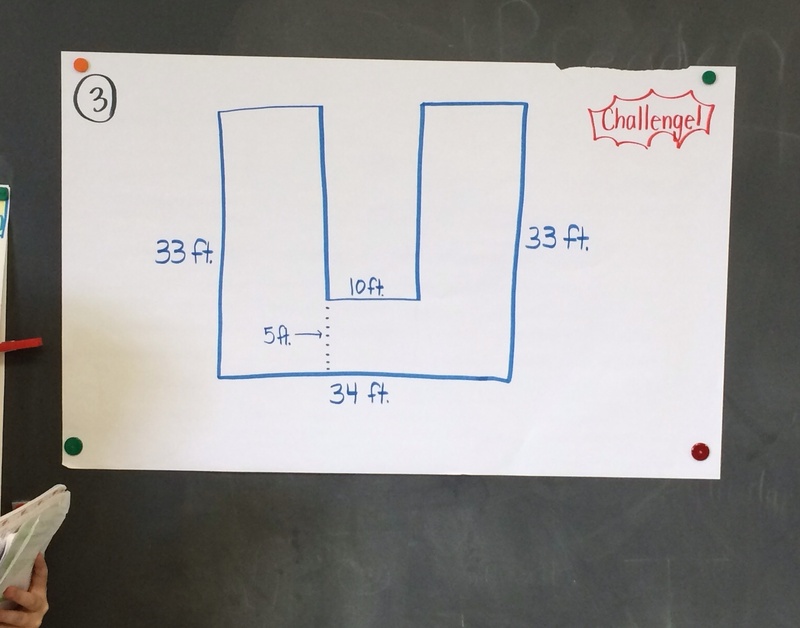 During a response day, when I noticed that students were struggling a bit with perimeter, I made tiered/leveled posters around the room of perimeter tasks. Leveled posters allow for differentiation, and they are also formative so that you can see who is meeting your learning target vs. who is not. 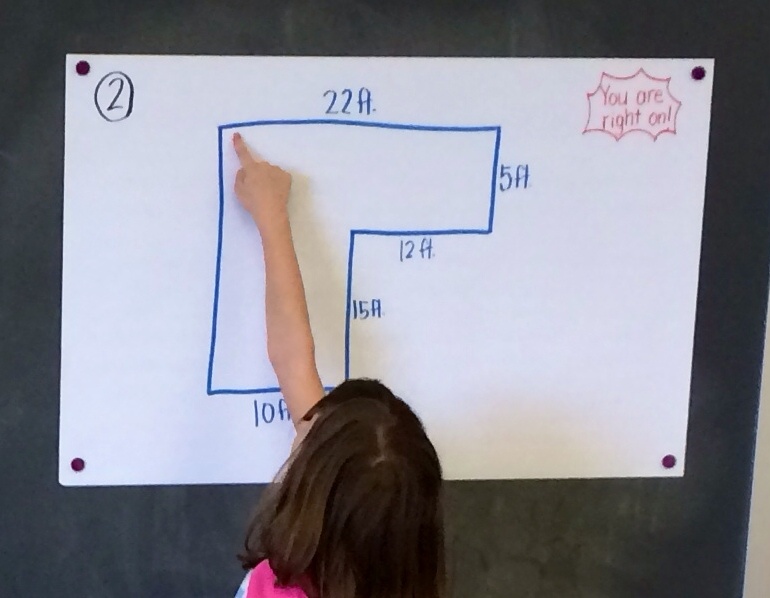 For example, this learning target was: I can calculate perimeter when a side is missing. Level 2 (basic): all the measurements were labeled on all of the sides of the figure. Level 3 (proficient): one side of the figure had a missing measurement. Level 4 (advanced): more than one side was missing their measurements. Level 4 Poster: This one perplexed even my accelerated gifted and talented student. He missed the insides of the figure. My favorite part is the math talk session where they discuss their answers with each other. We move from poster to poster, and students speak up and share their thinking. I don’t have to say a word. You hear a lot of shouts of understanding and mistake finding as they explain. Again, it is okay for me to take a backseat. I don’t have to blabber my mouth (for double the time) when very quickly they speak to each other. When everyone is stuck, that is when I step in. When students do the talking, they do the learning!